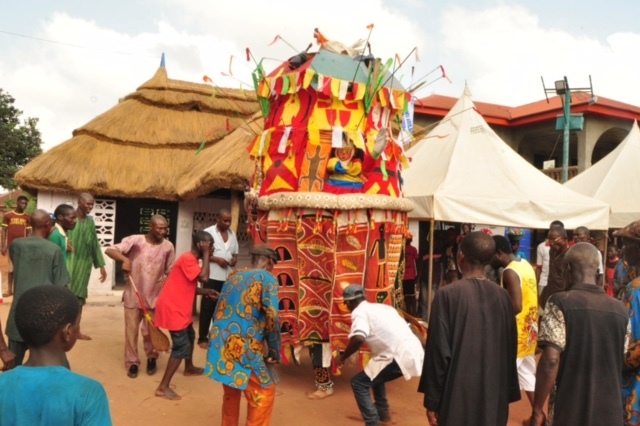 Another festival which takes place each year is the Eri festival in Aguleri Nigeria. Aguleri is the oldest Igbo village in Nigeria. It is located in Anambra State. 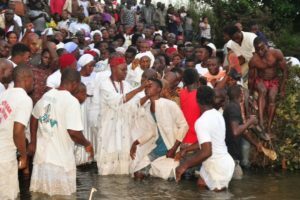 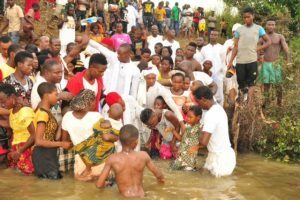 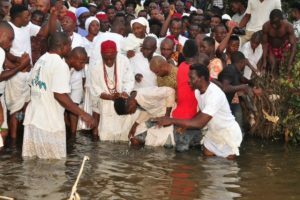 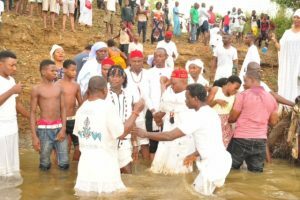 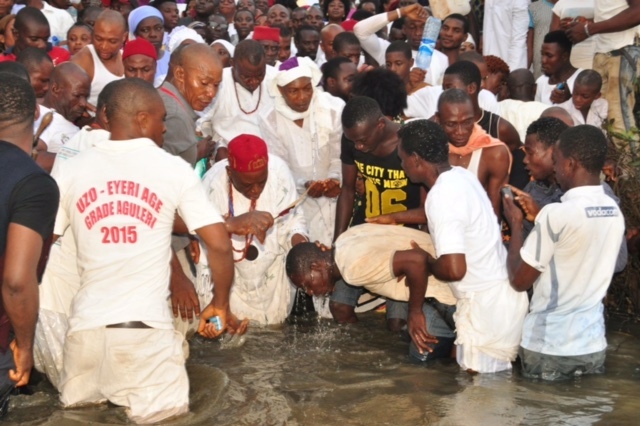 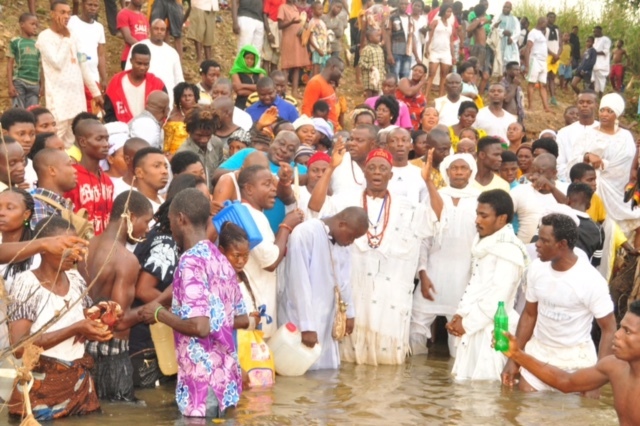 Eri Festival was initiated by Eri himself in a form of a miniature yearly celebration to remember his arrival at Agbanagbo-Ezu-na-Omambala (Confluence of Ezu and Omabala rivers). 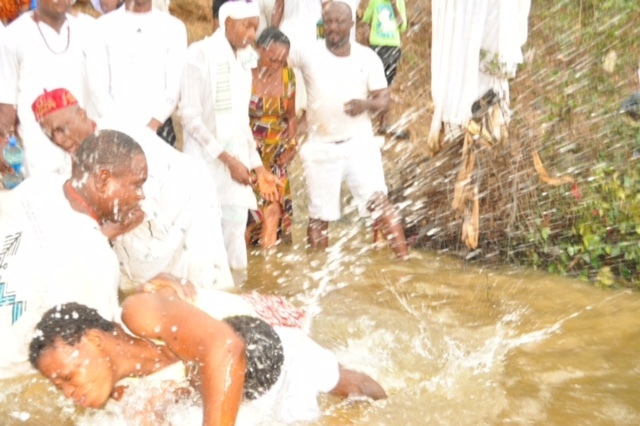 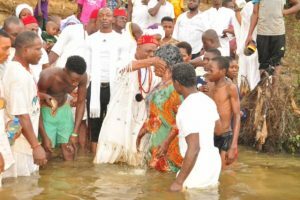 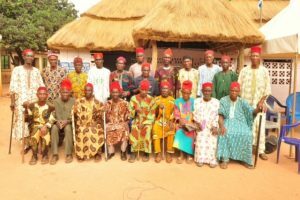 He summoned his sons, wives and followers every 8 native month for prayers at the confluence which was followed with celebrations: eating, dancing and other cultural display at Ancient OBU-GAD Palace in Enugwu Aguleri . In order to ensure the propagation of the ideals and remembrance of Eri, his children continued the festival after his death. 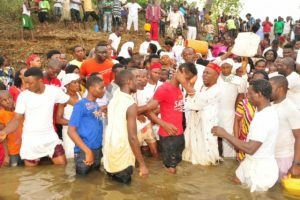 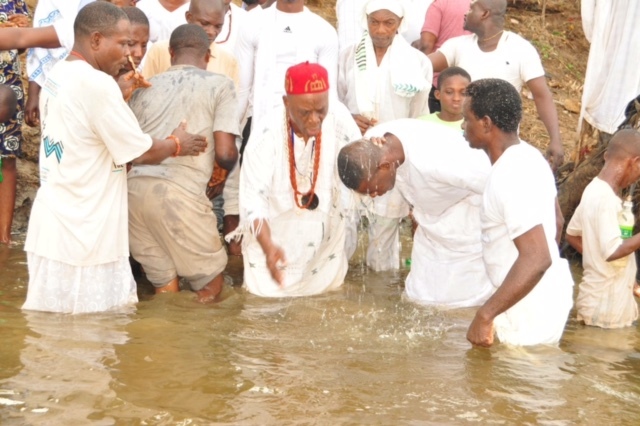 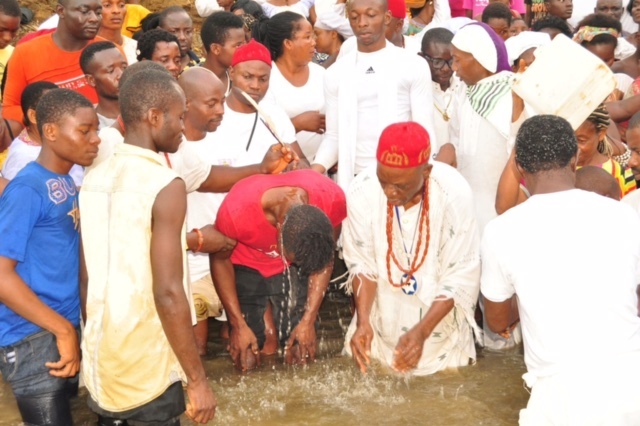 The festival served as a unifying factor for all the sons of Eri even after they had dispersed from Aguleri communities, the festival continued at the normal venue at the OBUGAD Palace after prayers at Agbanabo Ezu-na-Omabala River. 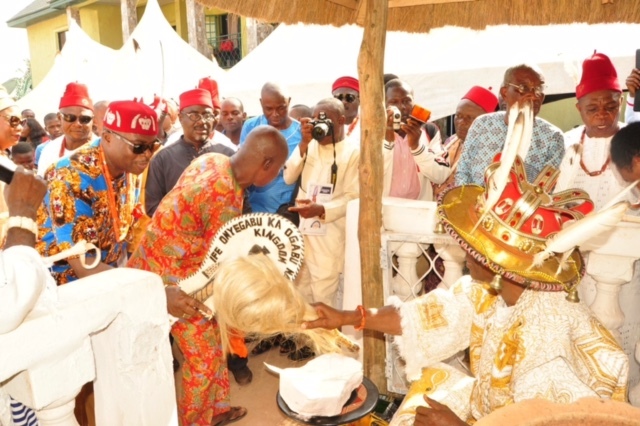 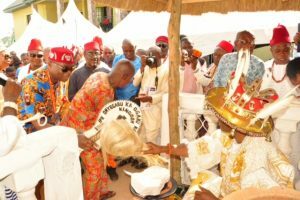 The dispersal of Eri sons notwithstanding, the Ancient Iduu Cultural (Olili Obibia Eri) festival continued to be held at OBUGAD in Enugwu Aguleri. 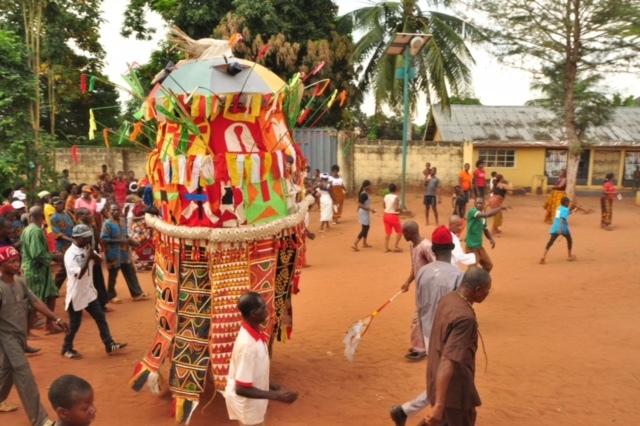 The festival called Olili Obibia Eri was designed as a unifying force for the Igbos both at home and elsehere. 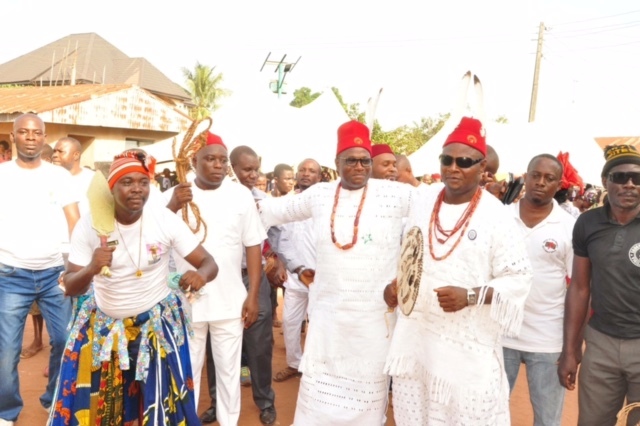 It featured religious ceremonies, agricultural trade fairs, dancing and musical entertainment. 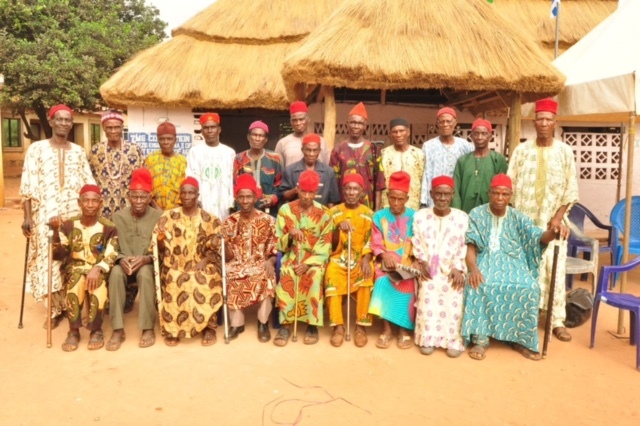 All these served to strengthen the bond of union that kept both Agulu Eri and his dispersed brothers together. The festival suffered setbacks in 1892, an Aguleri man out of bravery punctuated a drum of palm oil belonging to a British merchandize. 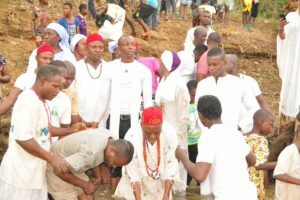 The action tagged “Onwurume Oil Spillage” battle between the two sides lasted for four days with British soldiers suffering many casualties. 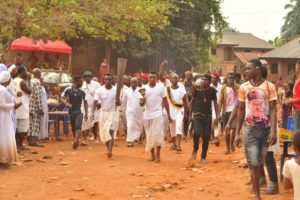 War artistry displayed by the Agulerians during the clash created the impression in the minds of the British, that Aguleri drew strength from the annual Olili Obibia Eri (Eri Festival) during which stamina strength and courage were tested among the youths. 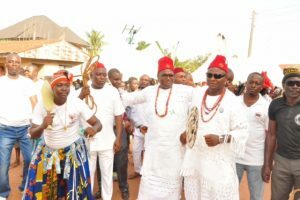 As a result, the British administration planned and sowed seeds of discord among the participants – the Eri sons – especially the dispersed sons of Eri who only came on pilgrimage to Aguleri during the festival. 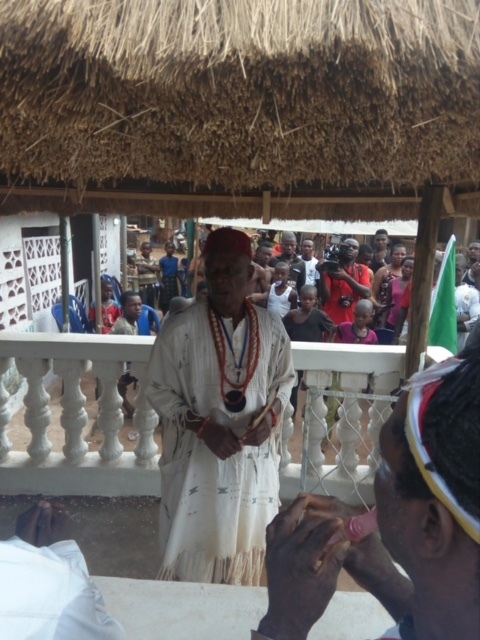 The British divide and rule system worked and diminished the strong interaction among the sons of Eri. 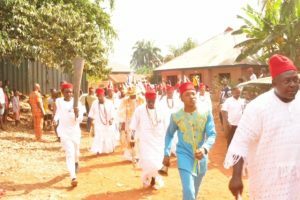 The divide and rule style was also used by the British during the choice of warrant Chiefs from various sections of Aguleri. 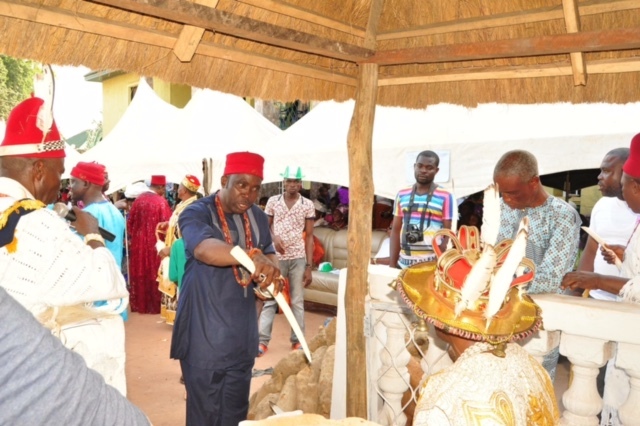 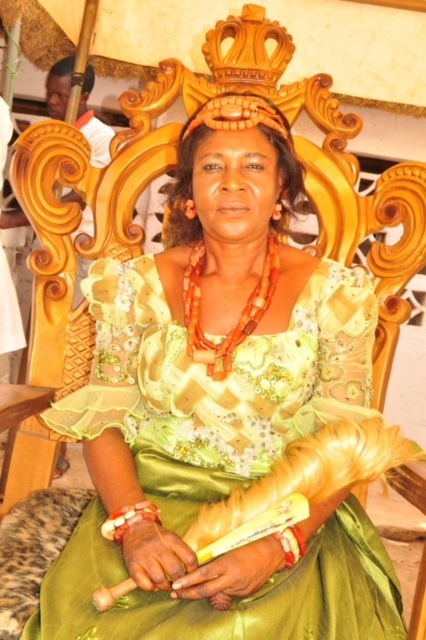 Despite the setbacks designed, executed and perpetrated with regards to the festival by the British, Aguleri people continued to give the Olili Obibia Eri its annual recognition and due regards and so continued to hold the celebration. 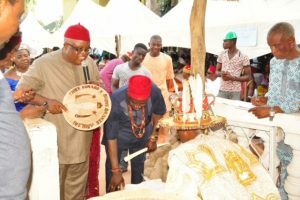 The celebration in 1999, 2000 and 2001 showed that the festival has picked up linearly with time as once more a unifying factor of the descendants of Eri and that the OBUGAD is recognized as the converging point for all Igbo people. 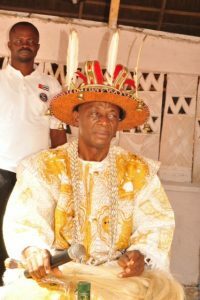 During the 2001 celebration, His Majesty, Eze Eri (JP) in his opening address urges the Igbos to reunite after suffering disintegration by British colonialism using the Eri festival as a platform to decrease the museum approach to cultural survival of the Igbo race. 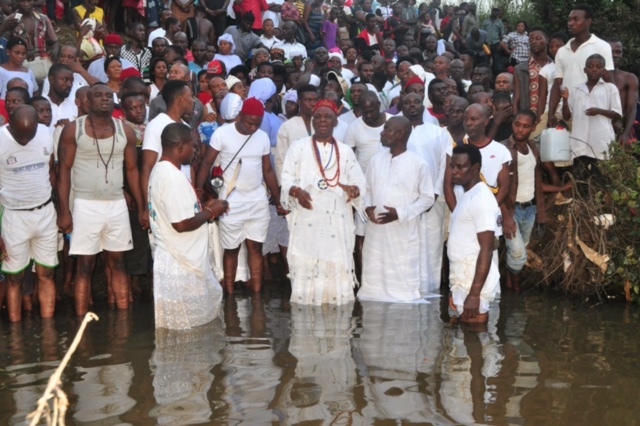 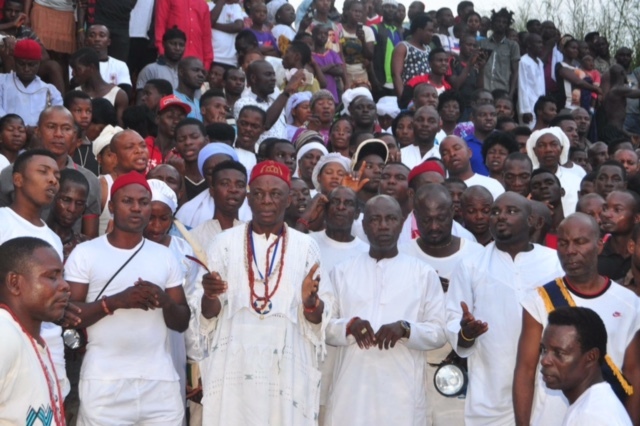 Perhaps, the words of Eze Eri were meant to remind the Igbos that individuals efforts aimed at image rebuilding after the disaster of the slave trade on the Igbo may not produce as much desired results as collective and massive efforts which the effective revival of Olili Obibia Eri (Eri Annual Festival) shall provide. The festival which has survived all odds and which affects the lives, love and spiritual being of the Igbo must not be allowed to phase out. I am looking for the 2019 iteniary and cost for the Eri Annual Festival in Nigeria. 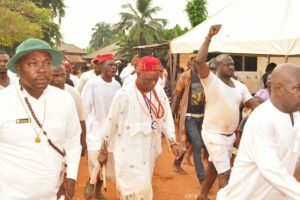 I am interested in going with the Lexington group.